Spring is recital season! Getting through your most important performances, believe it or not, requires more than just practice. Proper nutrition, rest, and mental and emotional wellness are key factors in maximizing the effectiveness of your hard work. So, over the next few days we will be sharing some drink recipes that should help you to energize, focus, relax, and replenish throughout this busy season. This first recipe features a delicious green smoothie that we think will give you balanced energy for your next lesson. 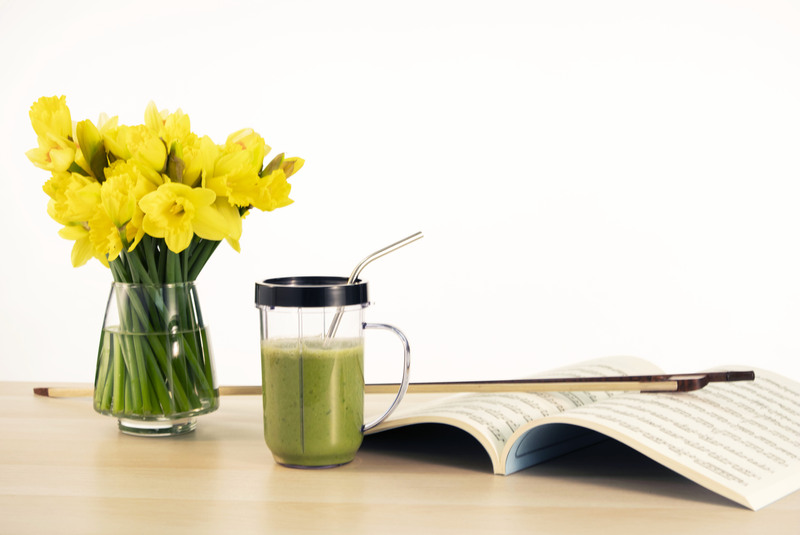 Serve in a glass or blender cup.